If anyone can turn a car into a “meaningful gift,” it’s Diko Sulahian. 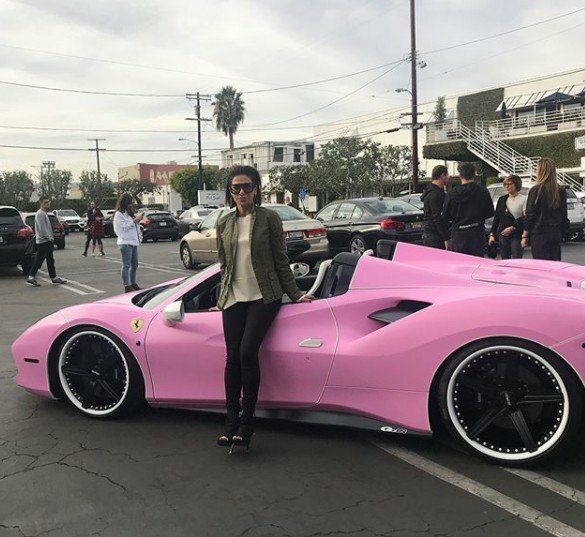 He gave his wife Peggy Sulahian a pink Ferrari to celebrate the one year anniversary of her being cancer-free. It’s definitely not a typical gesture, but then again, most of us aren’t working with a Sulahian-level budget for momentous occasions. 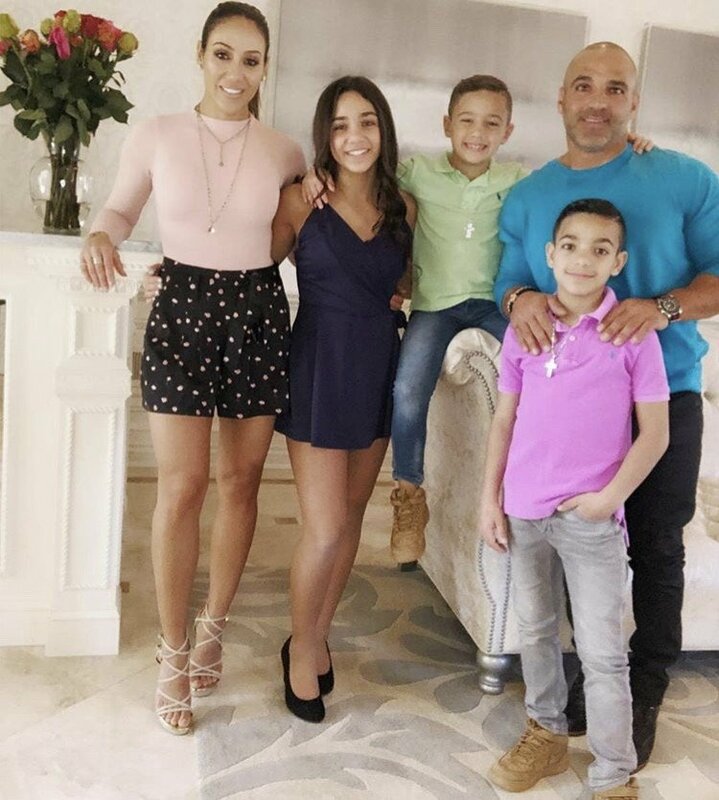 Peggy Sulahian’s decision to undergo a double mastectomy this past year has stirred up constant questions among the cast of The Real Housewives Of Orange County. Shannon Beador accused Peggy of telling two different stories regarding whether she actually had cancer or not, and just about everyone else was left even more confused when Peggy (and Diko) attempted to explain the specific circumstances surrounding her cancer status. Did you know that Peggy Sulahian is Armenian? Just in case you didn’t catch it, she made sure to mention it for the 984,434,153th time during the last Real Housewives of Orange County episode that the fans were subjected to watching. This season has been a total snooze fest and focusing the most recent episode around Peggy’s wedding anniversary party wasn’t helping manners. SOS! SOS! When are the cast vacation episodes airing? This show is in desperate need of some excitement this season. Instead we had to watch Peggy and Diko Sulahian celebrating a twenty two year wedding anniversary. Good for them, but the only semi-interesting thing that happened during this episode was Diko confronting Shannon Beador about something her husband David Beador said. Someone convince me that this is not the worst Real Housewives of Orange County season yet. Aside from Shannon Beador gloriously throwing that plate full of food, nothing has happened. Vicki Gunvalson and Tamra Judge met up during the last episode and they didn’t make up. They barely even argued. Basically they just wasted my time. No one even uttered a gif-worthy line. Then there’s Peggy Sulahian and her husband Diko Sulahian forcing us to celebrate a 22nd wedding anniversary. 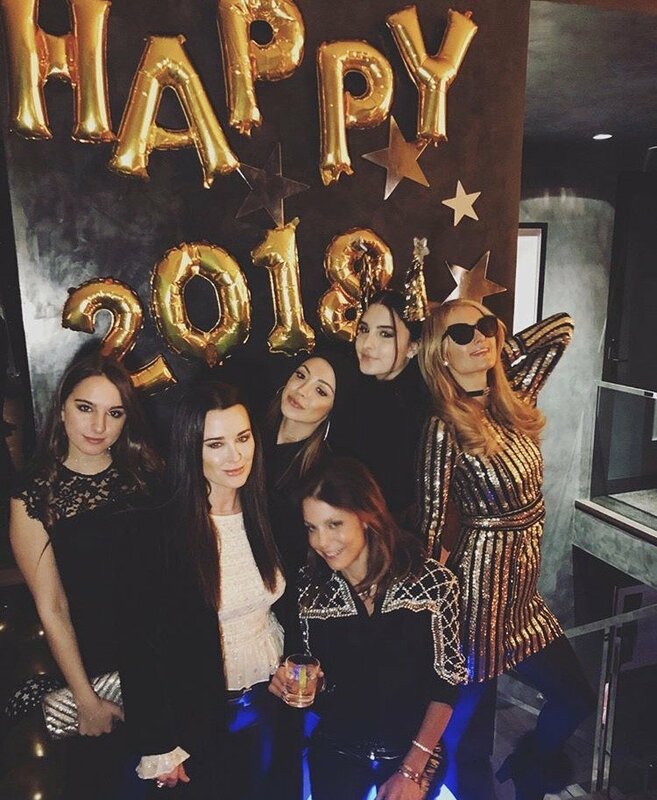 Don’t get me wrong, I think it’s great that they have been able to make it work for so long and I actually do see the love between them, but who has a party for twenty two years of anything? Twenty years? Makes sense. Twenty five years? Even better. But twenty two? That’s almost as ridiculous a Ramona Singer having a full on vow renewal for her seventeenth wedding anniversary-a couple years before filing for divorce. 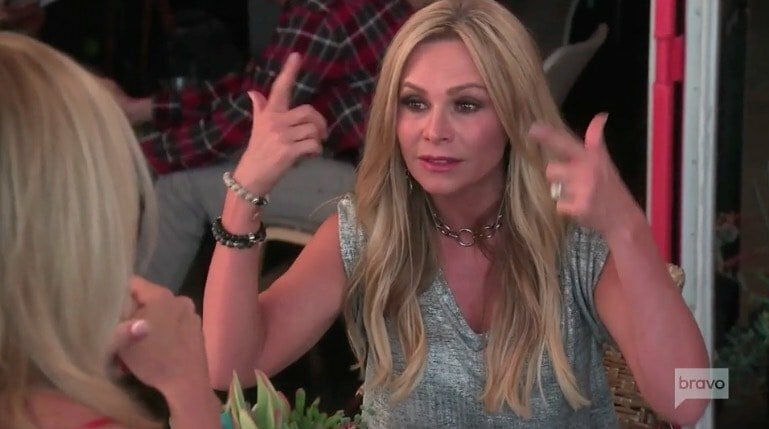 It finally happened: Tamra Judge and Vicki Gunvalson sat down for a one-on-one conversation after avoiding each other all season on Real Housewives of Orange County. Unfortunately for the fans, it was very anticlimactic. Vicki accused Tamra’s husband Eddie Judge of only being with her to open a up a gym and continued to bring up old rumors. Tamra calmly walked away and that was it. Well, that was it for a minute. Now that the episode has aired (and the fans have reacted on social media), Tamra is sharing her thoughts on her (attempt at) lunch with Vicki and Peggy Sulahian’s husband Diko Sulahian confronting Shannon Beador at their anniversary party.